We protect the identity of public bodies on the Internet through the registration and challenge of domain names. The Domain Names System (DNS) is the basic infrastructure of the Internet. Thanks to domain names, one can send an e-mail, visit a web site, or carry out an electronic transaction. The registration, transfer and administration of generic and domain names and country code names require technological capacity, knowledge of the Domain Names System digital tools, and constantly staying up to date on the various national and international regulations. In UBILIBET’s Digital Identity Department, we offer a comprehensive set of solutions for managing the domain names portfolios for both private companies and government bodies. Governments are constantly adapting to communications and information technologies. Conceptions such as digital government, e-hiring, e-democracy or online tax payments are already a reality for many public bodies in Spain. In UBILIBET, we are aware that the needs of the government sector are different than those of the other players on the Internet. For that reason, we have a government support section that offers exclusive specialized consulting services on the information society to government agencies. The services that public agencies offer through their web sites must be in compliance with the legislation regulating the use of automation within the government. In UBILIBET's Legal Department, we bring public agency portals into line with applicable government regulations. The citizens that operate with a public agency through its web site must have security guaranties regarding access, confidentiality and the authenticity of the identity of the government body being dealt with, to avoid the unauthorized use of the public agency's web site and the possibility that the infringers may usurp the web site identity. 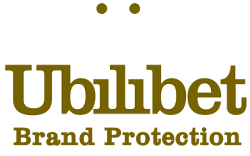 At UBILIBET, we oversee the processing of public agency digital certificates as the application makes it way through the various certifying entities, and we cooperate with government officials in the computerized implementation of said certificates. Domain names are the starting point for the processes of integrating different levels of government on the Internet. Consequently, domain names are one of the basic pillars for the modernization of services currently being performed by government for the citizenry. For government agencies web sites to adequately perform the functions entrusted them, users must be able to access the sites using the domain names that the general population intuitively ascribes to each level of government. At UBILIBET, we offer government agencies the possibility of having their domain names homogenized, properly managed, and brought into line with current regulations.